Our tree planting program Free Shipping! Plant a Tree! Because of your wonderful support, we have now planted over 200,000 trees around the world! With the trees we have planted, we are able to help support communities grow trees that can help sustain their family for generations and generations. Imagine what we could do if more people knew about GoneGreenStore.com! Please help spread the word so we can all do our part in Greening the planet back to paradise. 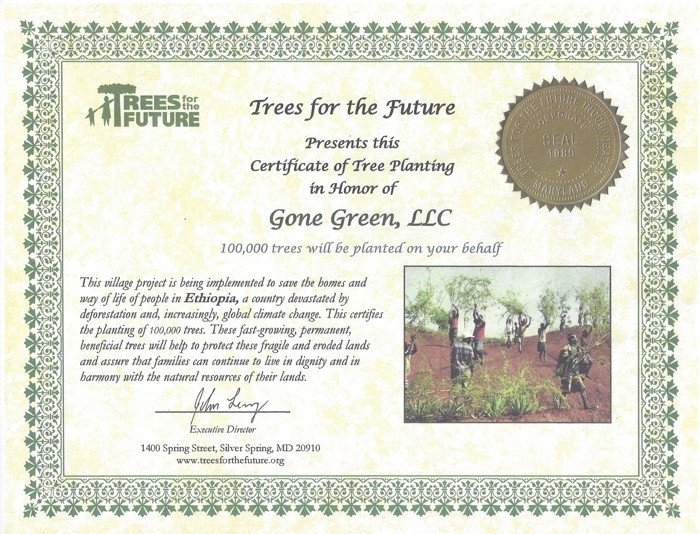 In 2011, GoneGreenStore made a pledge to plant a tree for every single product you buy. 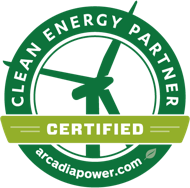 We have partnered with Trees for The Future, an amazing non-profit that has helped the planet by planting millions of trees across the world since 1989. Green Lifestyles has already planted over 200,000 trees with Trees for the Future and with your help we believe we will be able to reach our goal of planting over a million trees very soon. We can't do this alone! If we want to plant a million trees we need your help by visiting our store and purchasing some great products and sharing this information with all of your friends and family members.